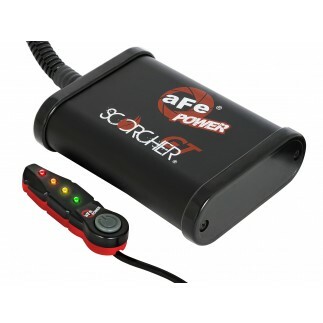 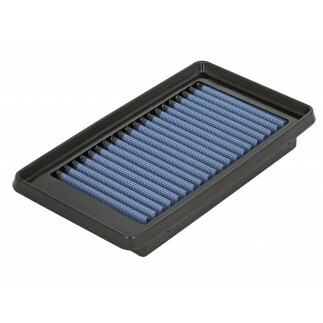 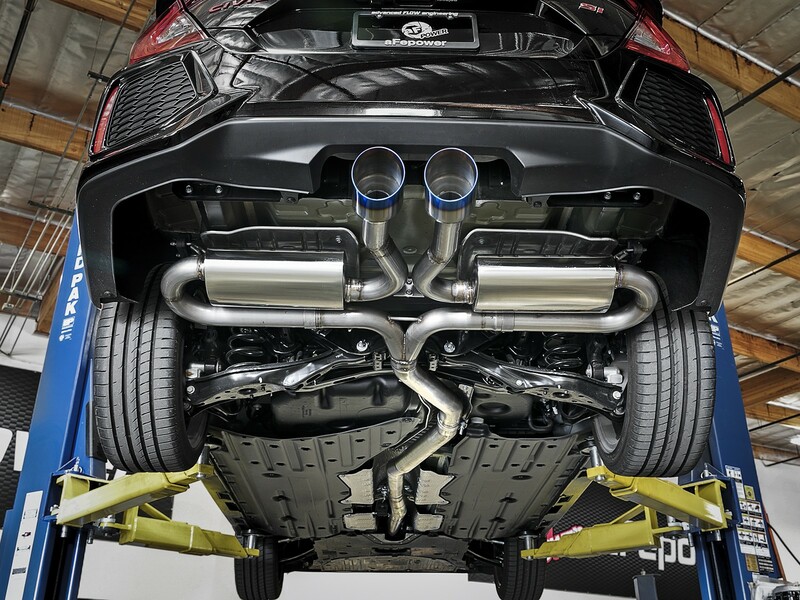 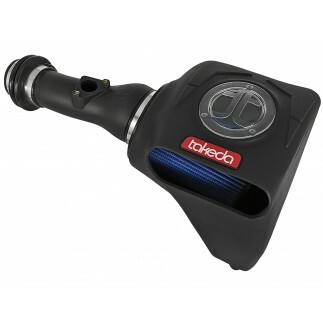 Add power, sound and style with aFe’s Takeda 3" to 2-1/2" cat-back exhaust system. 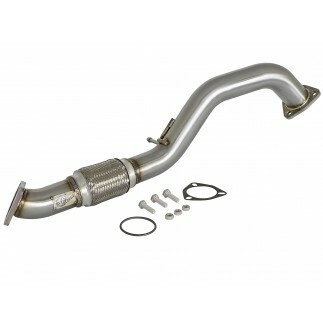 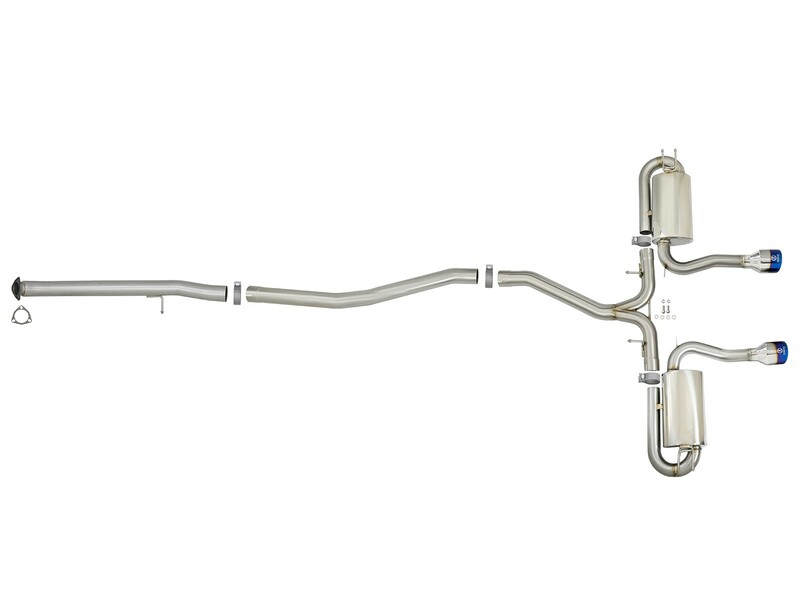 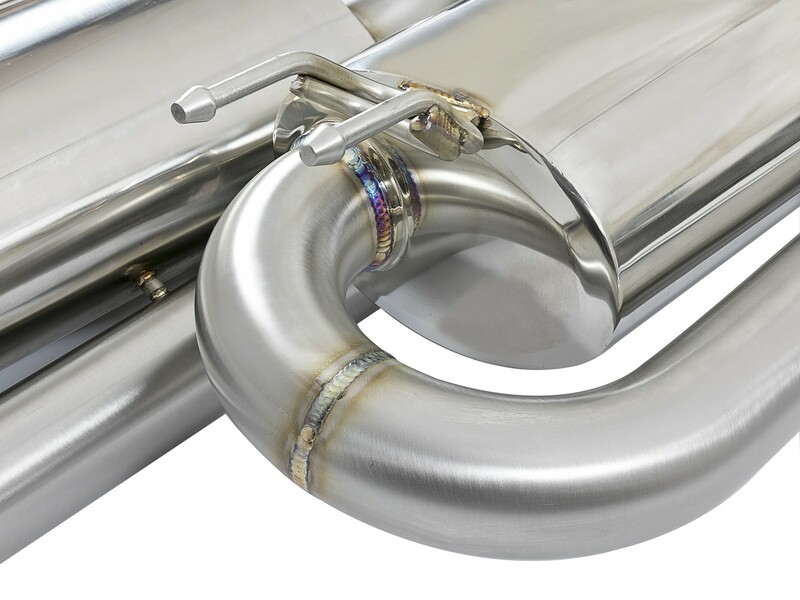 304 stainless steel, mandrel bent tubing improves exhaust flow and delivers up to +10 HP and +11 lbs. 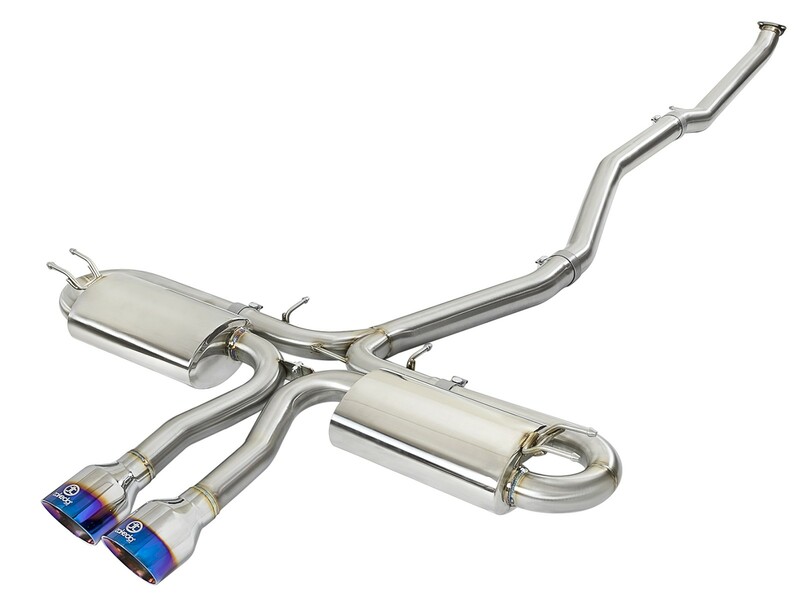 x ft. torque. 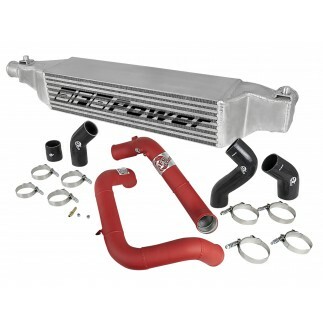 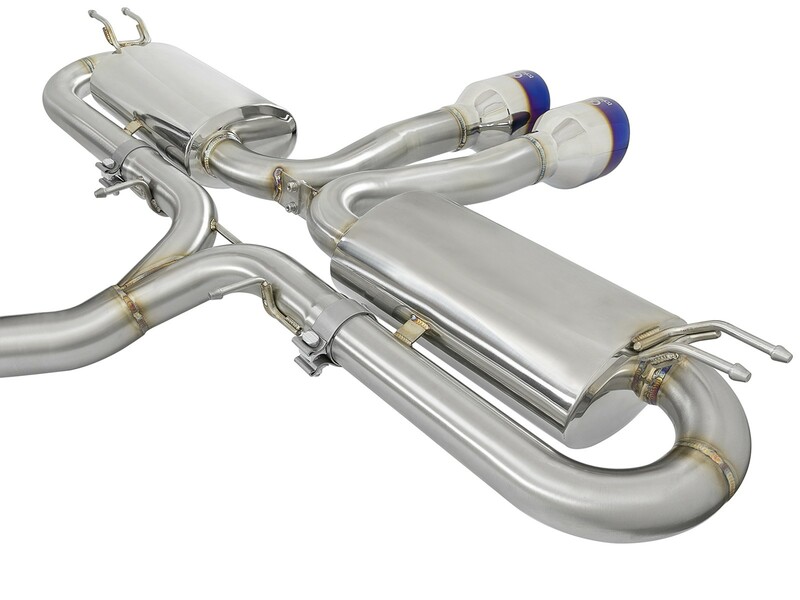 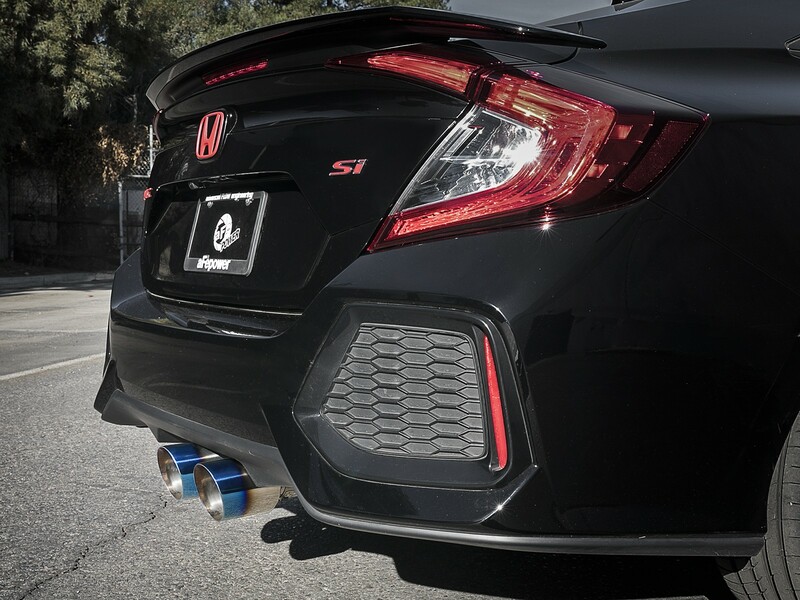 100% hand TIG-welded for race proven strength and durability and features dual, free-flowing 304 stainless steel mufflers to maintain an aggressive yet tuned sound. 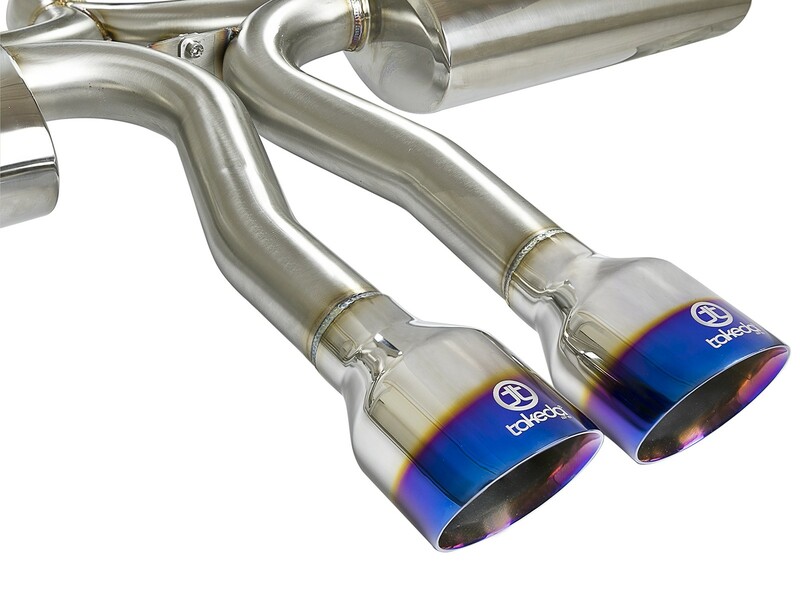 Dual, Blue Flame stainless steel tips finish the system for a stylish, custom appearance. 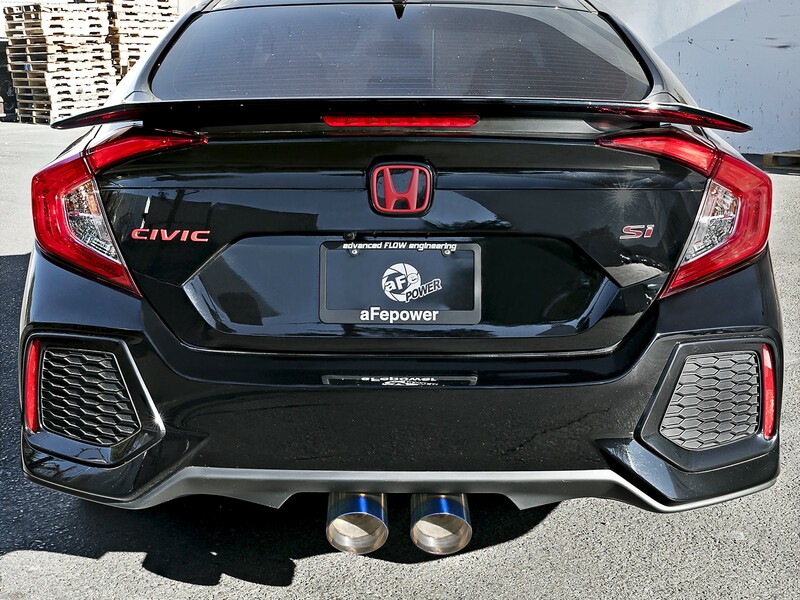 This dual rear-exit system features round, double wall angle -cut Blue Flame stainless steel exhaust tips for a stylish appearance.